Porsche is working alongside its subsidiary Porsche Design to offer customers in Milan an enticing combination of fascinating sports cars and exclusive lifestyle products, all under one roof. The new “Porsche Studio”, located at the heart of the major city in northern Italy, is the first studio to present both Porsche vehicles as well as the complete collection from Porsche Design. “Just like New York, Paris and London, Milan is a fashion metropolis where design trends are set. 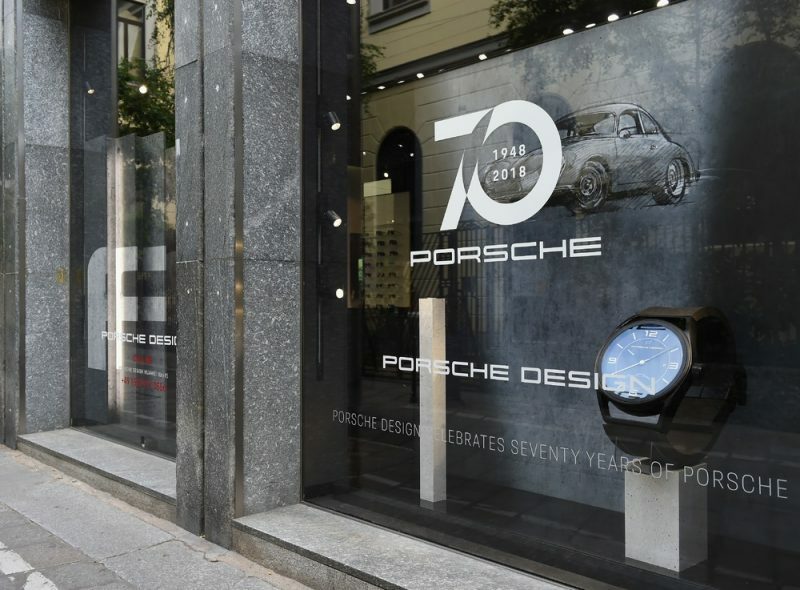 Presenting Porsche and Porsche Design at the heart of the city illustrates the close collaboration between the two brands and gives them access to a lifestyle-oriented target group”, says Detlev von Platen, Member of the Executive Board responsible for Sales and Marketing at Porsche AG. The location of the new “Porsche Studio” underlines the site’s strategic alignment: Situated in the historic city centre on the “Via della Spiga”, the brands have thus positioned themselves at the heart of “Fashion Square”. Porsche Studio Milan unites the worlds of both brands within an area of approx. 400 square meters. In addition to an exhibition vehicle, a “heritage wall” provides virtual insights into highlights from the 70-year history of Porsche sports cars. On the premises, customers can configure models on request, as well as arranging test drives. If the customer has made the decision to buy, it is also possible to conclude the contract on site. Regular events and promotions will introduce new topics from the brand worlds of Porsche and Porsche Design to visitors. In Milan, Porsche Design is presenting products across segments such as timepieces, fashion and sportswear, luggage and bags, eyewear and sound and electronics. A particular highlight in the watch collection from Porsche Design is the “1919 Datetimer 70Y Porsche Sports Car Limited Edition”, which was issued to mark the “70 years of Porsche sports cars” celebrations. “At Porsche Studio Milan, we are giving our customers access to the complete Porsche Design portfolio. With our highly attractive range of accessories presented alongside the exhibition vehicle, we are offering a special, lifestyle-oriented experience for customers and fans of the two brands”, explains Jan Becker, CEO of Porsche Design. The Sound of the Racetrack. The Porsche Design 911 Soundbar. February 18, 2016 Tim Havermans Comments Off on The Sound of the Racetrack. The Porsche Design 911 Soundbar.